Six Flags | Commit Marketing | A Full-Service Marketing, Web Design & Development Firm Located In Sarasota, FL. ‘Tis the season for festive family fun and enchanting experiences—and Holiday in the Park at Six Flags Discovery Kingdom has it all. Their unique holiday experiences includes enjoying sparkling lights, festive decorations, alluring scents and seasonal treats, playful activities, breathtaking rides, and heartwarming shows, including animal shows. 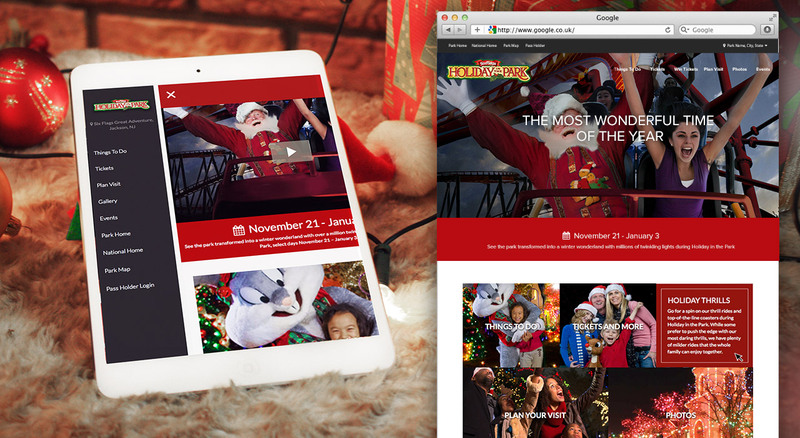 The team at Commit worked along side Six Flags Entertainment to design and develop a new website to highlight and promote their magical winter wonderland. This project really pushed our team to understand corporate user experience guides. They had a very specific look and feel that they wanted for this website that had to go along the lines of their national home page website. The website had to cater to not only English speakers, but to Spanish speakers as well since they have a park in Mexico. This created the need to ensure content was completely scalable so translations could be made. Aside from the end-user, a big part of this project was to ensure the client’s user experience on the back-end. For this, we created an extensive and easy to edit back-end to the website that allowed for infinite scalability. 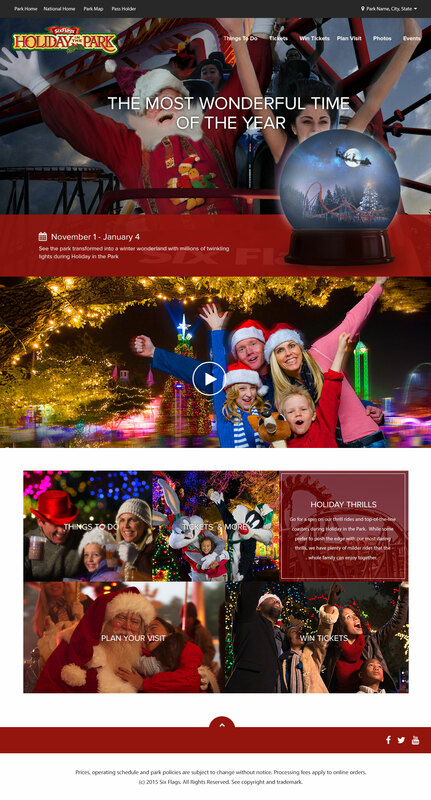 This website had a unique challenge, adhere to the current Six Flags brand / style guide while maintaining an essence of the holidays. To Achieve this, we relied heavily on color choice and imagery. The other challenge was to ensure the style could meet any size text, image or number of content elements. This proved to be the most challenging and limited the design to an extent.